Many of us were sad to hear that ‘Mr Blythe Cricket’, Colin Dawson, had passed away at the end of last month. Starting off as a player and ending as club president, Colin served Blythe Cricket Club over some sixty years. He will be remembered a lot for spearheading the campaign to raise half-a-million pounds to replace ageing facilities at the club’s ground in Cresswell. Understandably, members at the club have been saddened by the news; and tributes have been pouring in. At Colin’s funeral, the traditional salute, of cricket bats held aloft, was observed as the coffin passed by. In his honour, the friendly match which opens every season at the club has been renamed – as the Colin Dawson Trophy Match –, and will be held this year on April 20th. Following the game, a plaque will be placed on the new pavilion remembering him. 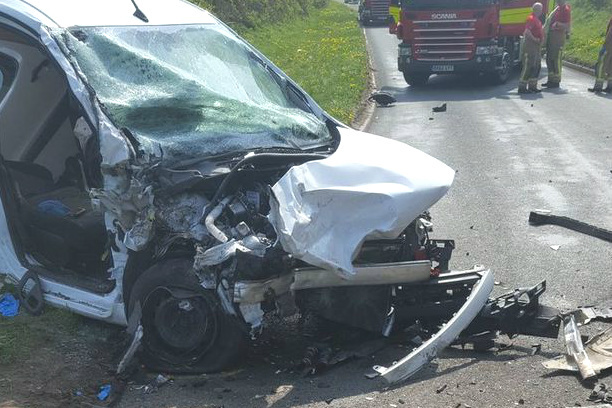 The Midlands Air Ambulance had to be called into action last Wednesday (17th) after an accident locally, which involved a van, a lorry and a motorcycle. The motorcyclist was flown to hospital. Amazingly, despite the immediate injuries and the state the vehicles were left in, no one was seriously hurt. The accident took place on Cheadle Road at Draycott Cross, by the turn off to Huntley Wood. 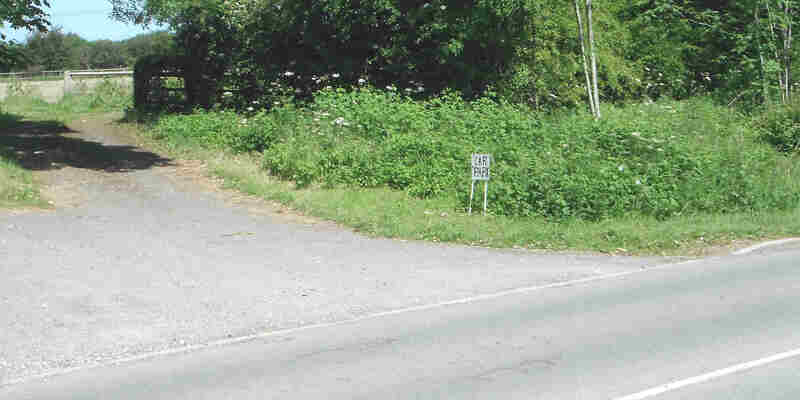 It’s an open stretch of road on what is otherwise a narrow lane, so it is a place where motorists tend to speed up. However… the cause of the pile-up has not yet been identified. Anyone with any information is asked to contact Staffordshire Police on 101 quoting incident 326 of April 17. The long planned-for alterations at the Draycott Arms are now under way and should see the current pub morph into a gastro-pub plus bed & breakfast by the beginning of June. Obviously, the builders will need a free hand, so – only for a while folks! – the full menu at the Arms is being suspended while the kitchen is affected… but snacks will still be available. As a consequence … new hours will apply during the alterations, which are: evenings only (from 5pm) during the week; Saturdays noon to late; and Sundays, afternoons only, i.e. 3pm-6pm. 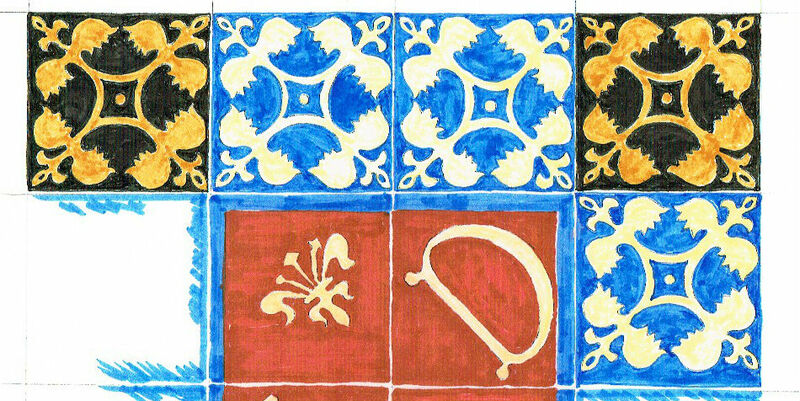 However, as is the way with building stuff, things can change – so keep an eye on the Arms’ website for updates. If ever (God forbid) you find yourself suddenly seriously ill at home, the likelihood is that it will not be an ambulance first on the scene to you, but a ‘community first responder’. These are voluntary, local, trained-up people who are on stand-by to help in the first ten minutes of a 999 call, while the ambulance is making its way. They are, quite simply, potential life-savers. Our local group, the ‘Fulford & District CFR’ turned ten years old last year, and is having a belated gathering next month – to which we are all invited. During the course of the event, there will also be a session on how members of the public can use a defibrillator, which, again, can be life-saving. (There is a public defibrillator in the Cresswell kiosk, though there is none in Draycott yet). The Saturday night at the beginning of this month (2nd Sept) was not a good night to be out late on Draycott Level. 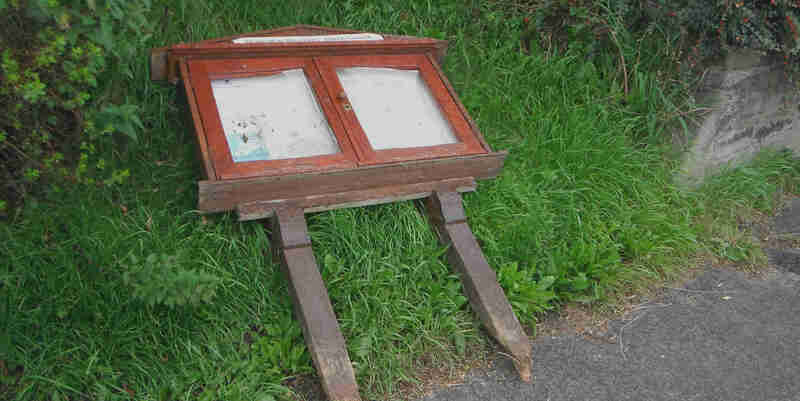 A very loud group of lads were singing their way along Uttoxeter Road at 1.30 in the morning, a man was robbed and assaulted, and it was probably this night that a notice-board was kicked over and broken. The worst incident, of a young man being assaulted, took place on the pavement almost opposite Stuart Avenue. The man was kicked and robbed of his wallet and jacket by a small group of youths who had jumped out of a car that was following. An ambulance was called – but fortunately the injuries were not serious; and a friend, who had been walking with the victim, though he was chased, did manage to get away unscathed. Curiously, the car had returned by this point – and the jacket and wallet thrown back (though some money was apparently missing). Naturally, the police are looking for as much information as they can get. 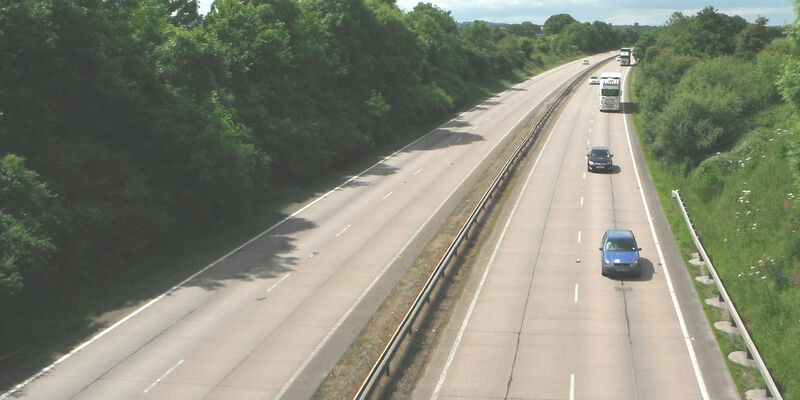 The car involved was a silver-coloured hatchback with one front light missing. If you know anything, they’d like you to call 101 and mention the reference number, which is 59 (Sept 3rd). 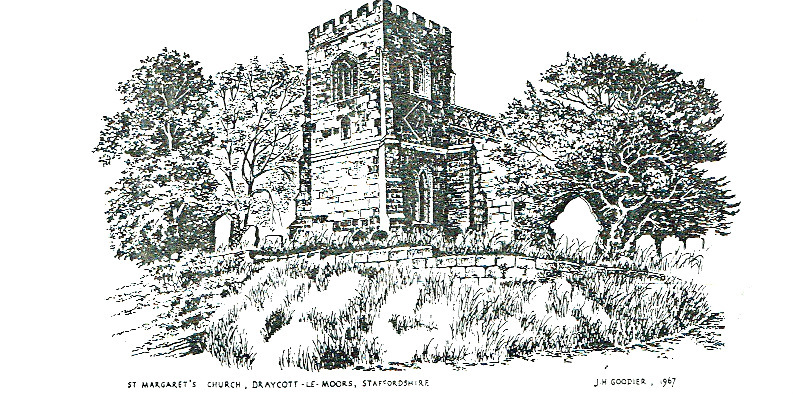 Draycott Parish Council called an emergency meeting this week to discuss the new proposed Staffordshire Moorlands Local Plan – the strategy which will decide how infrastructure issues such as housing will be allocated in the region for the next fifteen years. About twenty members of the public attended and the general mood was not favourable. Many residents said how disillusioned they were with Staffs Moorlands Council and how they didn’t believe in the fairness of the planning process much anymore. Mark Deaville, our councillor on SMDC, attended (though our other two SMDC councillors did not). He said that, yes, growth (especially in new homes) was needed if Draycott/Cresswell was to get funding for better infrastructure projects such as traffic-crossing refuges, but also said: “Confidence in the Moorlands planning department is at an all time low”. Some people also said that confidence in the actual councillors who sit on the council’s planning committee was also very low. 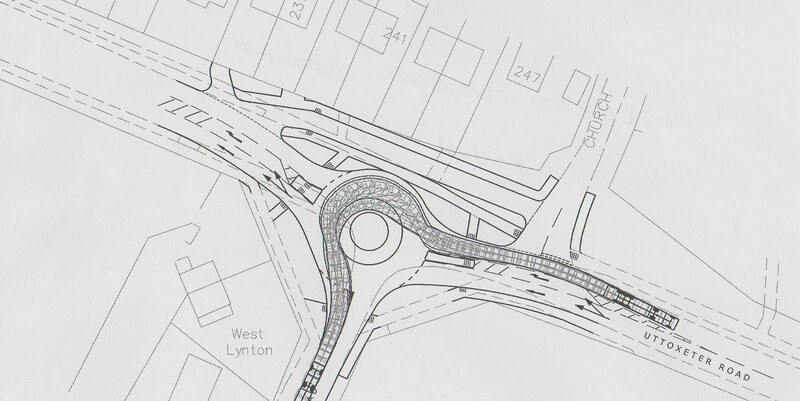 They pointed out that the latest proposals could see three roundabouts along Draycott Level (plus a new one coming in Cresswell) in just a one-mile stretch! It would have been good to hear from all our parish councillors about what they thought of the proposals, but only Mark and Roger Holdcroft (the chairman of the parish council) actually spoke up with considered responses. What happens next is that the clerk of the council will collate the public’s responses, and then incorporate those into the council’s own comments. She is hoping to publish these comments on the council’s website by this Saturday (16th). Comments on the proposals must be put forward by Sept 22nd. Every adult in the district is allowed to make comments on the Plan – and Roger Holdcroft is urging people to do just that. If you do nothing else, check out paragraph 8.26 in the Plan, and comment on that – that’s the most significant paragraph as far as Draycott is concentred. Much much better news is that the ‘Colin Dawson Community Hub’ on the local cricket club’s ground in Cresswell is at last open for business. Paid for by Lottery money, with generous donations from supporters also underwriting it, it is a magnificent building which will be warm and cosy all year round. 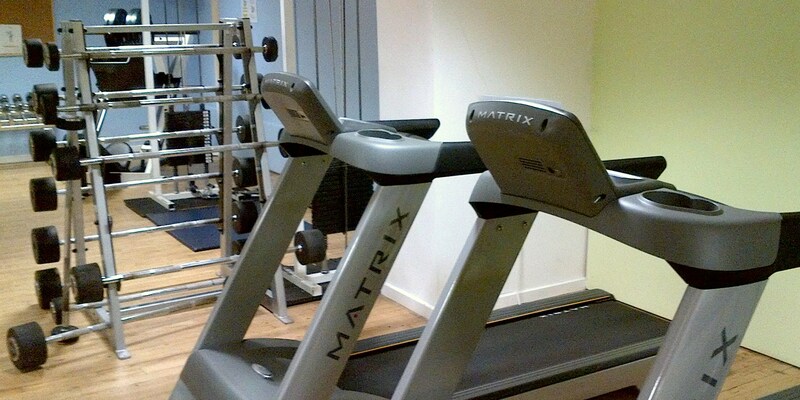 It has a large function room, a well-stocked bar, and a couple of smaller meeting rooms. It really is a great achievement. 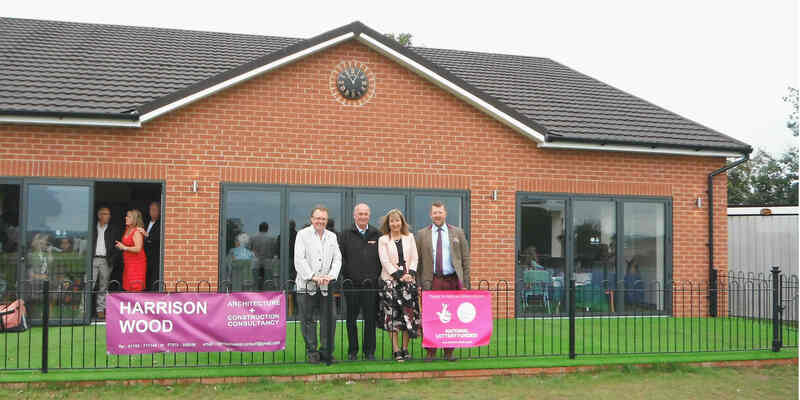 In the photo below, you can see : Austin Knott (club secretary), Brian Lawton (NSSCL cricket league chairman), Alison Grimley (chair of the club’s Lottery Bid) and Simon Owen (club chairman). Opened formally this last weekend – Draycott’s oldest and most well-known resident, Betty Hammond, cut the ribbon – surrounding householders were also invited to come along and look round (and eat the free food!). The ones we spoke to had nothing but praise. The next step is to invite local groups and events-organisers to use the centre; and a list of charges will be published soon. We were told that a small part-time post is being created – to employ someone to go out into the community and publicise just what a great resource is on our doorstep. 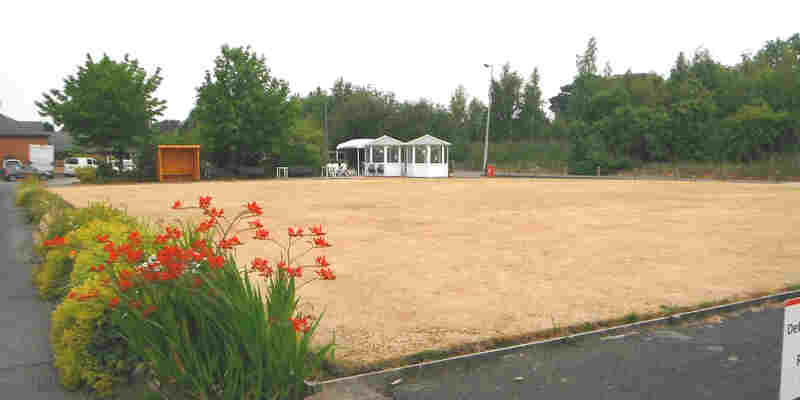 In the meantime, Alison Grimley, who has been overseeing the project on behalf of Blythe Cricket Club, says just to email her if you are eager to start using the centre in the near future. A ‘new’ Cloggerfest was initiated this year. Cresswell’s own two-day rock & nu-folk music festival is an annual event designed to appeal to the whole family. However, after a spot of bother happened last year, this year security was tightened, and the festival changed from a free event to a ticketed one. Ange Heathcote, who organises the set-up, told us that all passed peacefully this year, partly thanks to some friendly police officers who were helping out the security effort! In fact some people without tickets were turned away on the advice of the security team. The organisers on the music side told us also that the music fans themselves were well-happy with the line-up of bands and the quality of the sound; while the charity-events organisers (the local Rotary Club is big into this festival) said the kids enjoyed themselves too. So… roll on Cloggerfest 2018! NEWS: big planning / community-hub opens / dangerous rail area / Totmonslow self-build? The application to build over 100 homes at the east end of Draycott (by the A50 roundabout) seems to have caught everyone by surprise. Certainly our local newspapers and our local politicians seem to have made virtually no comment at all, which is both a shock and a shame, as this is a very big deal indeed. What few of us realised is that this site, the huge so-called ‘Northern Gateway’ or ‘Blythe Vale’ site in the centre of Draycott is actually not just a local venture, but is part of a regional & national planning framework, linking major industrial centres like Stoke and Derby to the major networks. The local community action group VVSM have been doing the research and came across a really interesting document proving this. It means that – once the economy picks up – this district is in line for a lot more industry and a lot more housing, and, as it’s part of a national strategy, we may not be able to do a lot about it. You have been warned…! Anyway, at the moment, only the application for the 100+ homes is on the table. If you feel strongly about this development, you only have until 27th September to comment on the proposals. 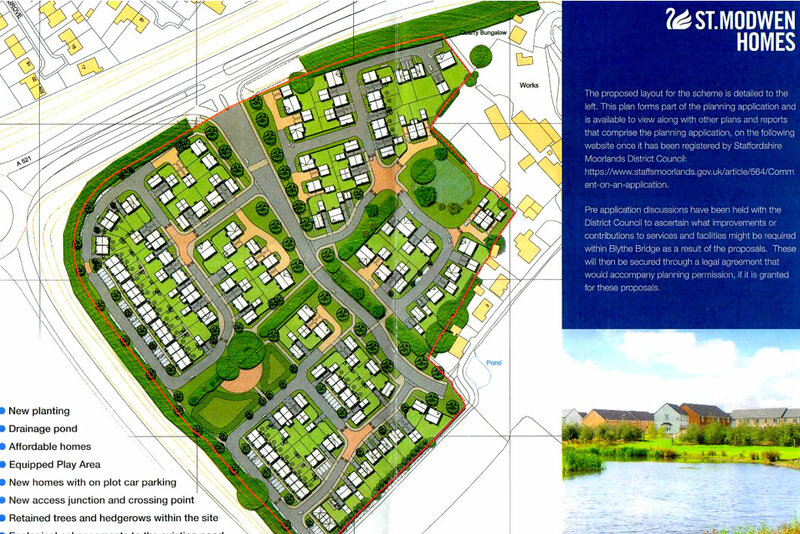 See the Blythe Vale Homes planning application by clicking here. Happier news comes out of our local cricket club. The new pavilion/community-hub, on the Cresswell ground, is finished at last, and looks really splendid. The old pavilion had its charm, yes, but this smart new structure is the bee’s knees! It cost over £500,000 (with help from the Lottery Fund) but it looks like it is well worth it. 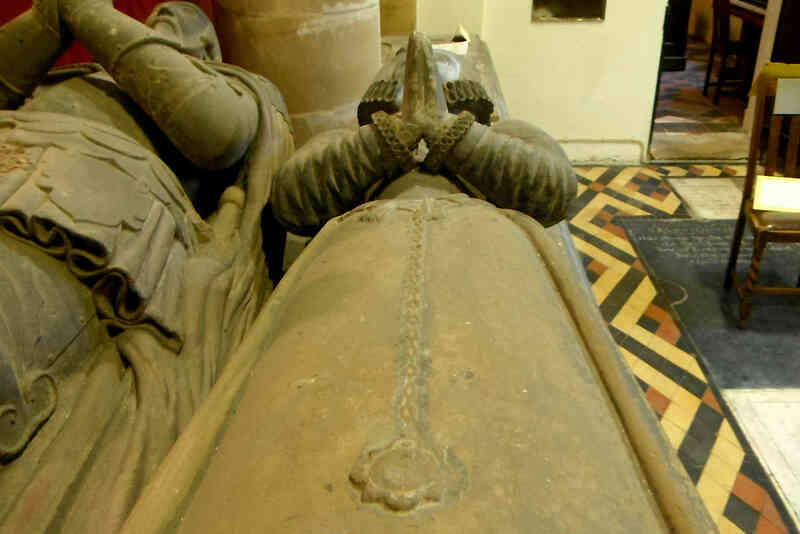 An open invitation is now going out to everyone connected with the parish to come and take a look at it on Sunday 10 September (between 11am and 4pm). If you fancy going, please email the club, by this Friday, to say you’d like to be there, as it’s a matter of trying to judge numbers. The pavilion/community-hub could turn into a major asset for the district as, apart from being a base for the cricket club, it is open for hire to local organisations – already a weekly yoga class has started up there. So, if you too run a class or such, you might want to check it out too. If you can’t make it on the 10th, why not stroll along to see the first team’s last game of the season, on the 9th. With a bit of luck (and sunshine), the day will – hopefully – see the team crowned champions of League One… what a party that will be!! For some time now, some of us have been wondering what Network Rail is up to by the Cresswell rail-crossing. A hundred yards along the main-line (in the Uttoxeter direction), the fencing that should be alongside the tracks, to stop both trespass and thoughtless kids from wandering onto the line, is simply… not there. It is completely wide-open. 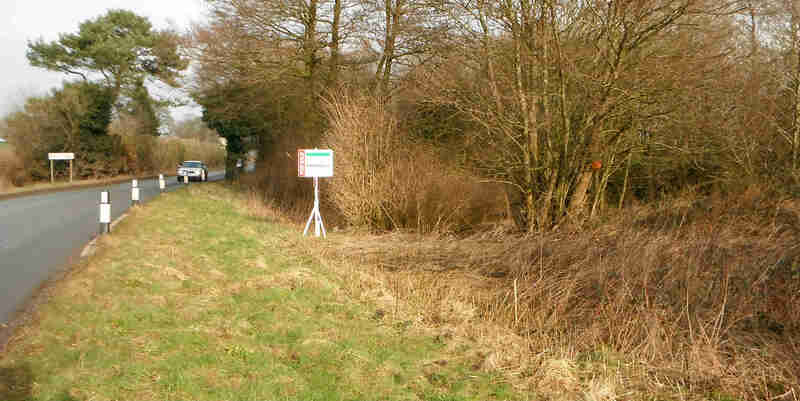 An unmade road, which leads to a small group of six terraced homes (‘Railway Cottages’ by name) passes right by the unprotected area. The owners there form a small community (they get together to look after the unmade road and repair it, for instance) and have applied to Network Rail to fulfil its responsibilities, but, so far, no joy. If you also find this worrying, why not add your voice to the community’s, and write to Network Rail? It’s not often a chance comes up to build your own home, especially in beautiful open countryside… but this is what is on the cards right here in our parish – in Totmonslow. Totmonslow Farm, which is no longer a full working concern, is the site of two potential conversions. A little way over from the historic old farmhouse itself, you’ll see some former farm buildings, which have not been in use for some years … though they do have charm of their own. They are now up for sale, with planning permission: going to public auction on the 20th September. Both sets of buildings also give a deal of space – click to see the details of The Barns, and of The Old Cart Shed. It may not have been the best of summers – but our local cricket team has certainly given us a lot to cheer about! The first eleven at the Cresswell-based Blythe Cricket Club have been among the top teams in the NSSCL First Division pretty much all season, but they went even better than that this last Saturday by beating the leaders (away). Their victory – by the narrowest squeak, but a proud triumph anyway – takes them straight to the top of the league. This win now virtually assures them of an historic promotion to the NSSCL’s top tier – the Premier Division – though, yes, the final games must still be treated very seriously. Captain Peter Finch, who himself has played incredibly well all season, told the sports newspapers in an interview that a lot of the team’s success is down to this year’s professional, the Bangladeshi all-rounder Musharraf Hussain (see pic right). 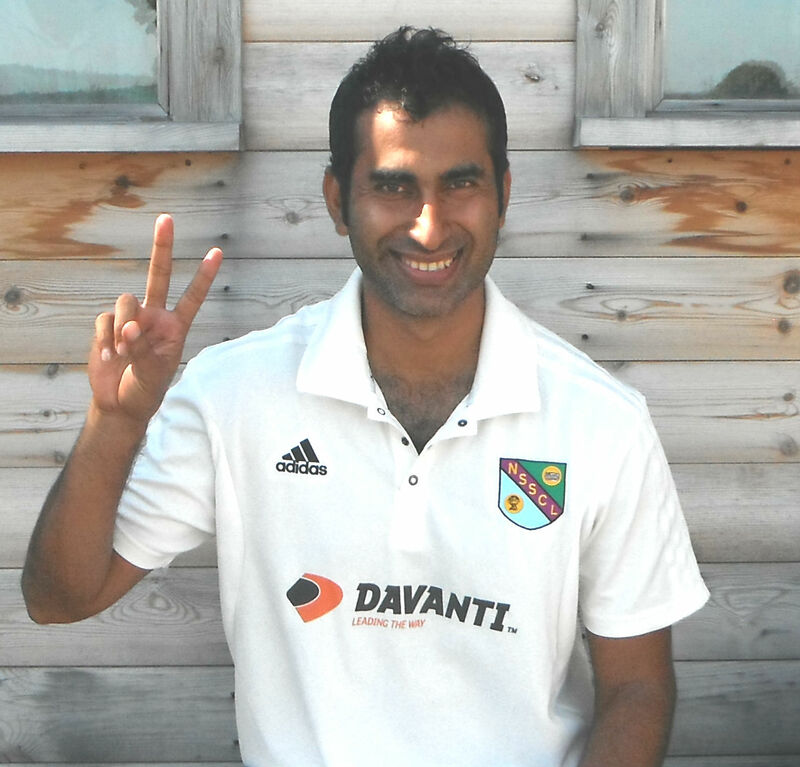 Musharraf has settled into Staffordshire much better than many of his compatriots and produced consistent high-level performances. Everyone has also been excited to see a fresh lease of life for the county over-50s bowler, Mark Stanyer – in one game, Mark produced figures of five wickets for no runs…. Why not get along to the Cresswell ground and check out the team’s run-in? See dates for Blythe’s remaining home games on our Events page. It’s been a big few days for anyone who cares about the future of Draycott. The very latest proposals designed for The Staffordshire Moorlands Local Plan (the strategy by which house building, open spaces and employment sites will be carried out in this region over the next fourteen years) are now published, and available for view either online or at your local library. It is literally hundreds of pages long, so the local community-action group VVSM is still sifting through it trying to see what the main implications are for us locally. They should put out their views soon (we’ll let you know their conclusions as soon as we have them). We all knew that the fields on the ridge behind the houses on Uttoxeter Road up to the A50 highway have long had permission to be used as an employment site (the so-called ‘Northern Gateway’), but the poor state of the economy has meant there has been no takers … until now. So, the owners, the St Modwen Group, have now started an interesting campaign to try to persuade the Moorlands District Council that at least part of that planning permission should be switched to house-building instead. They want to build 118 new homes on the triangular parcel of land almost next to and behind the Chandi Cottage Restaurant, then right along to the roundabout and around. This comes completely out of the blue to us, but in fact St Modwen say they have already had preliminary discussions with the council. All they need now is the planning permission, and they could start building in 2018. After what happened in Cresswell, where a similar application for 170 homes was passed through – despite all the recommendations against it -, you have to wonder if St Modwen might well get their plans through. Already a protest group of residents is being formed. The protesters do have one advantage. Due to a strange quirk of boundary-creation, the St Modwen land sits just inside Forsbrook Parish Council’s responsibilities, not Draycott Parish Council’s. Remembering how Draycott PC was almost completely useless when it came to doing anything about the Cresswell application, it’s probably better for the protesters that they will be working with Forsbrook PC, which is a much more energetic council. Despite the sluggish economy, people are still – thank goodness – trying to make a go of business. 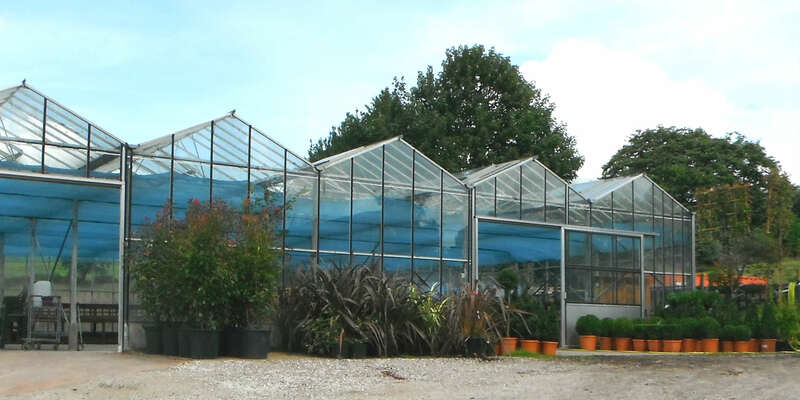 So, it’s nice to see that Draycott Plant Nurseries have new owners. Neil & Carolyn left earlier this year, after putting a lot of hard work into the place. Many of us had started to rely on them for plants, so, when even they felt they could not make it work, many of us feared the place would fall derelict. However, new management is now in place. Basically the stock at the moment is large shrubs, meant for designers creating ‘ready-made’ gardens, so the market is really trade customers – but anyone is welcome to go along and have a look. The nursery is open five and a half days a week. We were told that, once everything is settled, the range will be extended, and we should see bedding plants on sale there by next year. Just as we hear inflation is about to hit 3%, you can (probably) add yet another expense to your bills. At its last meeting, Draycott Parish council had a debate about a large sum of money that it needs to pay out. Should it pay it in instalments, or instead pay the lot at once? Experienced councillors pointed out that paying a large amount in one lump sum might leave the council’s financial reserves under-strength, meaning an increase in council tax would be required in the Spring to bolster them. However, the remaining councillors decide to ignore that advice and plumped to pay in one lump sum. It’s unclear why they decided to do that. As usual, the local tax-payers may well have to dig into their pockets to pay for this council’s strange decisions. An ‘annual general meeting’ is the high spot of an organisation’s year – with summaries of achievements, and a chance to review the past year and the annual accounts, and more. 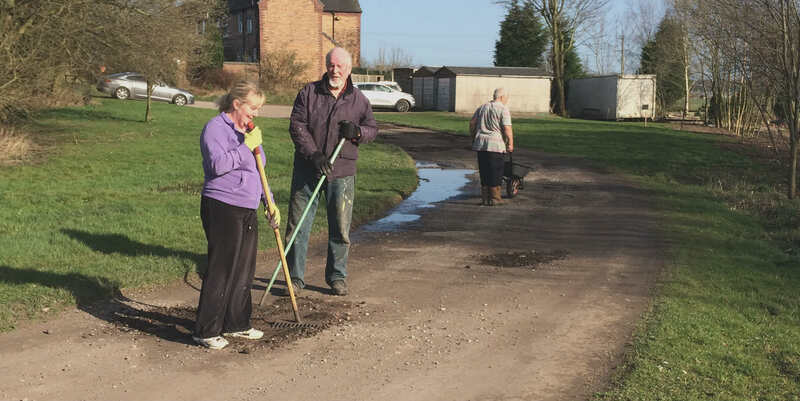 So, the AGM of Draycott Parish Council is a big deal – after all, this council spends nearly £10,000 every year of local residents’ money, which they take from us in tax. This year’s AGM took place on Monday. There was no Chairman’s Report (the usual look-back at the council’s activities over the last twelve months); the annual accounts hadn’t been audited in time so we didn’t see them; and the reports from our SMDC district councillors didn’t happen either, because, er, they didn’t turn up. So … that is hardly what we call an AGM….! 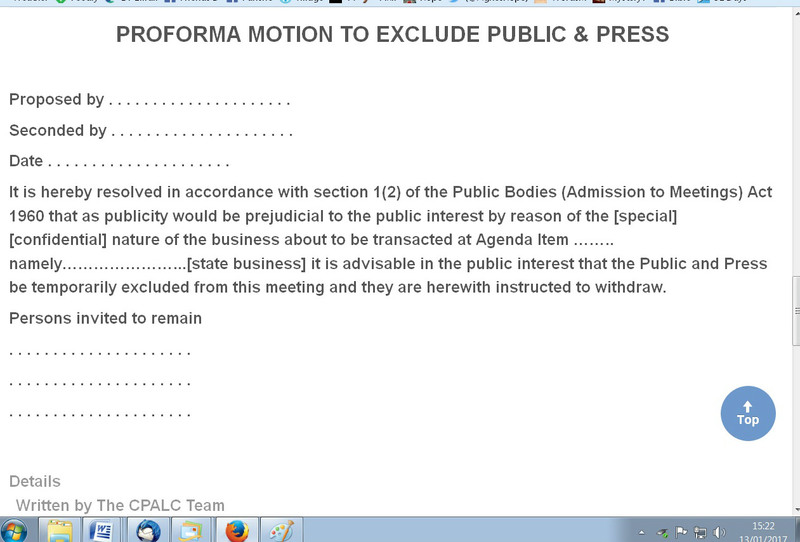 How can we the public put sensible questions at an AGM if no reports and figures are forthcoming? It is also the time of year when our local councillors need to be sure that their ‘declarations of interest’ (i.e. the things they do that might affect their role as councillors) are up to date. So, as you do, we checked each one of them. You can see them all for yourself, by clicking here. Well, it turns out that not one of the current councillors (i.e. excluding Pat) has actually filled in the form correctly; and there was no form at all for one councillor – despite the fact that he has been on the council for over ten years! Even worse was the revelation that hardly any councillor was able to think of anything when asked on the form for their “leading roles in community organisations”. Blythe Cricket Club First XI has, we are happy to say, got off to a cracking start to their season. They were unbeaten until last weekend (when they succumbed to an unexpected reverse at Wood Lane). Their home games, at their Cresswell ground, have been a joy to watch. And all this without their professional, the Bangladesh international Mosharraf Hossain. Mosharaf has been unable to take up his place because of the surprising recent success of his Bangladesh side, which has been progressing through international tournaments with ease! One hopes he will be here soon though. Meanwhile, work on the new £500,000 pavilion & centre goes on. It’s hoped that everything will be completed on time – i.e. in mid-July. What a party that will be when it throws its doors open! PS – don’t let the ongoing work at the ground put you off attending as a spectator. The bar is (temporarily) in the annexe… and the beer tastes just as good. Sometimes when you want a quiet pint on your own, you might take a newspaper with you. But what happens if you forget your paper? Well, at The Draycott Arms, they’ve solved that problem. 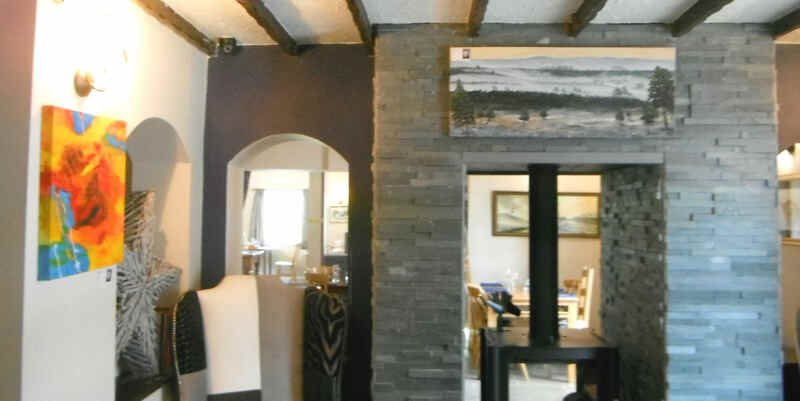 All you have to do is check out the art on the walls (see pic). There are a number of interesting paintings on the walls, most of which have been submitted by local artists. You’ll recognise the names of Jackie Knott and Alan Savage, just for two. An absorbing 20 minutes can be spent doing it. One of the great characters of this district was Joe Thorley. Between the 1920s and 1950s, he was often to be seen out with his photography equipment – and his photos are well worth checking out if you ever get the chance. He also collected paintings of local scenes, and thank goodness he did, or they might have been lost forever. 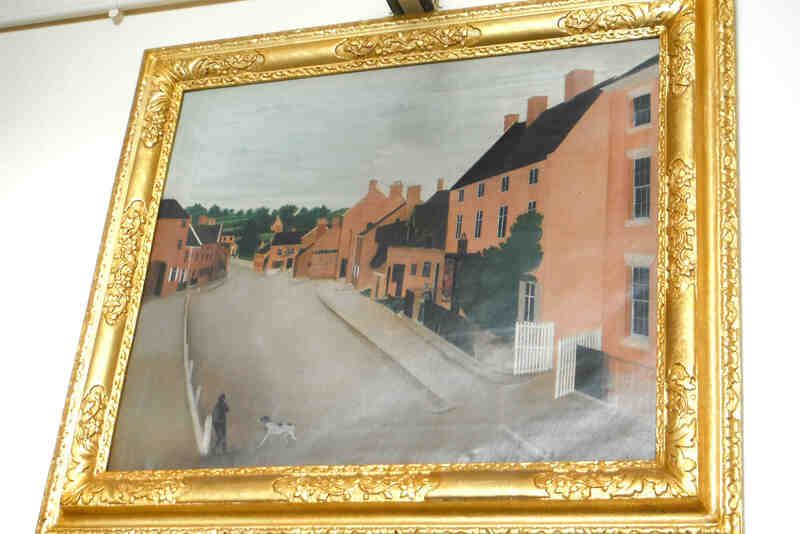 The ‘View of Tean High Street taken from the Old Roebuck Inn’ – see pic, above – (painted by John Gosling in 1832) was formerly owned by Joe. Joe, who was a local farmer – at Totmonslow Farm – left it in his will to his sister Pat (Whitfield), who then herself donated to GreatWood Community Hall in Tean, where it can be seen to this day. The future of Totmonslow Farm – the imposing building on the right as you go past the Totmonslow sign on the way to Tean – was in doubt for a while after Pat died. However, the good news is that there are plans to adapt the barns into flats, though the actual farmhouse will remain lived in by family members. It’ll be nice to see the farm buzzing with life again. It looks like 2017 is going to be a very big year for Blythe Cricket Club (who play in Cresswell, on the ground just up from the Izaak Walton). Not only is the work on their new club-house/community-centre finally under way, but they have made a major signing. 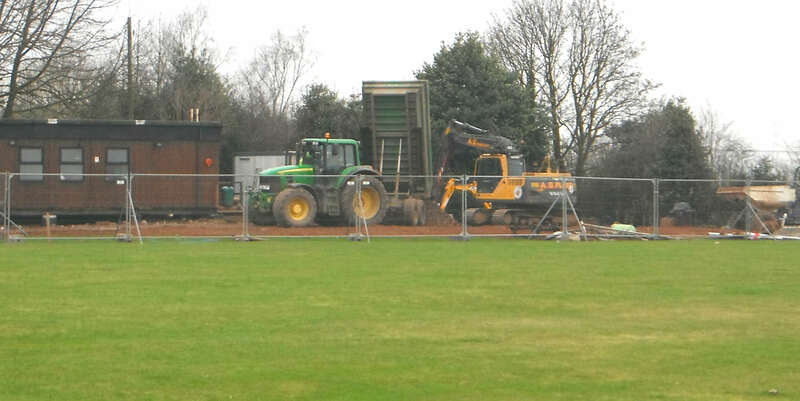 It had been hoped that the work on the new brick building at the Cresswell Lane ground could get started last year, when the old wooden pavilion was knocked down. (The pavilion had been up for nearly a century and was really showing its age). However, any progress on the new-build meant jumping through yet more hoops with the Lottery Fund, which is the body underwriting much of the cost. The good news however is that the hoops have been jumped and the construction company moved on to the site in the middle of last month (see pic below). Sadly the work will not be finished in time for the cricket season, but fingers are tightly crossed for a completion in the late summer. Perhaps. Meanwhile, the First XI’s drive for promotion this year has been bolstered by the signing of the Bangladesh international Mosharraf Hossain as their professional for 2017. The left-arm spinner has appeared on and off for his country for the last eight years. It shows the confidence the team has after a very good season last year. Cresswell seems to be the place if you want to buy a little stretches of land. Following the sale of the old railway sidings land near Railway Cottages, comes a chance to buy the narrow spit of land that runs alongside Sandon Road as you approach the Hunter Pub – it’s just over an acre in size. A copse of small trees stands there at the moment. If you’re interested, the auction for it takes place on March 9th. 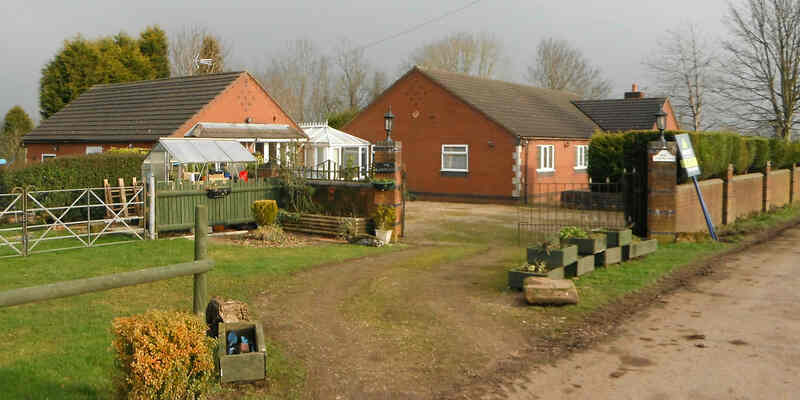 By the wa, not far from that copse is a rather desirable bungalow, which is up for rent at the moment. It’s off the beaten track, down the unmade road at the back of Rookery Crescent, and surrounded by fields on three sides with fine views. If you’re interested, it is going for £1200 a month. See details. Did you hear about the ‘irregular’ Draycott Parish Council meeting which took place at the beginning of last month? Even though this council has been reproached in the last few months for its tendency to want to pass decisions behind closed doors, this time it went even further, and didn’t even bother to inform the electors that it was meeting, or why. We understand this particular meeting was arranged by the councillors themselves. No public notice was put out, and no reason announced for why this secret meeting was held – no notification at all – nor even why it was so necessary to hold it behind closed doors – an action, which, as the Government’s own advice tells us, is “undesirable”. The whole incident blows a huge big hole in the so-called ‘Transparency Code’, whereby councils are supposed to be much more open with their electors. Exclusion of the public form. Was a document like this formally presented and signed? What we’d ask the council to do as soon as possible is to publish: the subject of the meeting; why it was so important that it be a discussion excluding the public; which councillors attended (and which councillors, if any, objected to this possibly unlawful shenanigan); who took the minutes; and what decisions were finally taken (in our name!). It does seem utterly unbelievable that this sort of thing is going on. Until we get a full explanation, it just appears to be a lack of respect by the council for its own electors.